Minnik Chartered Accountants understand lending goes hand in hand with growth. Minnik Chartered Accountants professional services partners provides lending solutions to existing Minnik customers, supporting value add strategy that is consistent at all times with your wealth goals. The finance solutions consider your overall wealth position, and aim to achieve the best possible scenario for your circumstances. You may be taking your business to the next level and require funding for commercial premises or equipment. You could be ready to move into your first home or upgrade your existing home to suit your growing family’s needs. Perhaps a refinance is required to access equity and balance your tax position. Maybe your investment portfolio could benefit from additional finance, with the added bonus of a tax break to regulate taxable income. In some instances, finance may also be suitable to acquiring depreciating assets such as plant and equipment and motor vehicles in order to maintain business operations. Purchasing a home or an investment property is not something we do every day so when the time comes around it can be a daunting process. Even more so if you have never been through it before. There are many factors to consider such as affordability, extent of borrowing capacity, impact on your family budget, the level of deposit required, and how to structure your loan in the best way to protect your cash flow and achieve maximum benefit from your gearing strategies. We operate independently which means we have access to a broad range of lenders which enables us to arrive at a customised solution to suit your particular needs. The home loan process becomes a breeze, we free up your time to deal with purchase negotiations, and you will have the peace of mind that your lending arrangement is best suited to your circumstances right from the start. You are ready to embark on your investment portfolio and you need to structure it to ensure you are accessing the right funding to achieve your wealth goals. Whether you are investing in property, or shares, or a business venture, we understand that your entire financial affairs need to be considered in order to choose the right funding for you. Investments carry benefits but also risk, some higher risk than others. There are many options you can take, so we make sure that you are fully informed before you make any decisions. Whichever way you decide to go, we ensure your assets remain protected. You may require a refinance, or need to access equity in your current assets which might even involve your family home. In which case there is much more to consider than simply funding your portfolio. As for gearing strategies, we are chartered accountants and tax agents, we structure your portfolio for maximum benefit to you. Commercial finance is all about funding for business ventures and commercial investments. This may involve leasing of plant and equipment or motor vehicles for your business, or commercial lending by your self managed super fund to purchase a factory from which your business will operate. You may be expanding your current business and wish to acquire another. Commercial finance assists in these circumstances. Part of your personal investment property may include commercial assets and commercial finance applies in this instance too. Whatever the situation, we have commercial finance solutions designed to suit you. When it comes to larger property investment projects, we assist in obtaining development finance. The types of projects we refer to include residential developments, commercial and industrial warehouses, or special-purpose commercial sites. We have an exceptional working relationship with our commercial funding panel, ensuring the best product for your development needs. 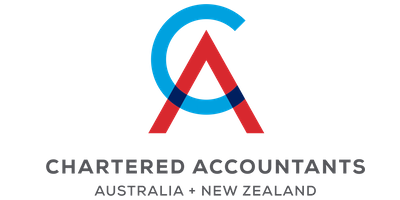 Your business has compounding supplier bills to pay including the ATO and your debtors are behind despite all the chasing. Its no wonder you feel pressure on your cash flow. As your business grows costs increase but revenue versus actual debtor collection presents a timing problem. If your debtors paid on time, things would certainly be easier, but this ideal situation is rare in reality. In extreme circumstances we may need to turn to receivables finance to unlock the value of outstanding invoices. This process involves turning accounts receivable into cash by accessing the majority of the value of eligible invoices. Get paid today if you can’t wait any longer for those tiresome debtors. Asset finance is very popular and very common both professionally and personally. We recognise that this market is extremely competitive and that dealing directly with financiers can be very stressful. At the end of the day, how will you know that you are getting the best deal. Asset finance covers operating leases, hire purchase, chattel mortgages, novated leases and consumer loans. These finance methods apply to motor vehicles, plant and equipment office equipment, and furniture and fittings. Out of all of these choices it is important to learn which one is best for you, and your financial position. We discuss the pros and cons of each, and the impact they will have on your cash flow and wealth strategy. Mistakes in this area are expensive in the long term as you can find yourself locked into a fixed term with no way out but to either upgrade or take a tremendous hit to you back pocket. Talk to us about asset finance and get it right the first time.